Welcome the Park at Oak Ridge. Welcome Home to comfortable living in North West Greensboro, NC. Immerse yourself in mature landscaping, thoughtful amenities, and contemporary comfort. Located on Old Oak Ridge Road, East of I73, The Park at Oak Ridge is just minutes away from Friendly Shopping Center and Piedmont Triad International Airport. If you’re craving an evening of exclusive dining and sophistication, downtown Greensboro is just a short drive from your new apartment home. You deserve the best in apartment living and our community offers an engaging lifestyle for everyone. 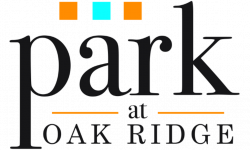 Take a moment to browse our photo gallery and our extensive list of interior apartment amenities to see why The Park at Oak Ridge is the perfect home for you!